The graceful lines of Bollas sweeping double arms create a soft elegance, while heavy cast spheres perched at the tips add to its innovative style. 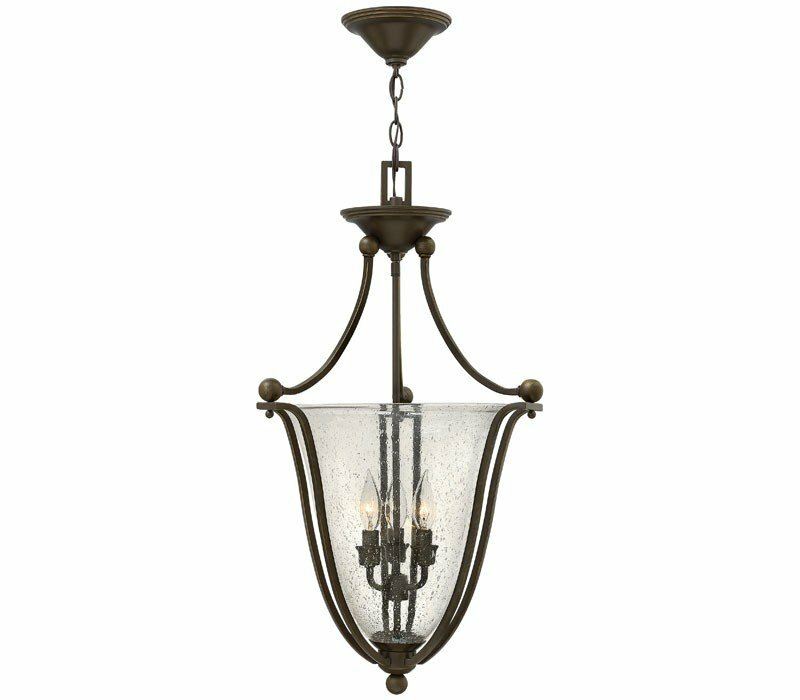 The strong proportions of the arms offered in either Brushed Nickel, Olde Bronze or Brushed Bronze finishes, contrast with the subtle bell shaped glass, combining both traditional and modern details. 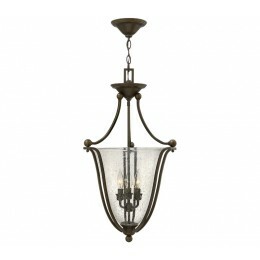 The Hinkley 4663OB-CL Bolla collection Pendant Lighting in Olde Bronze uses Incandescent light output. 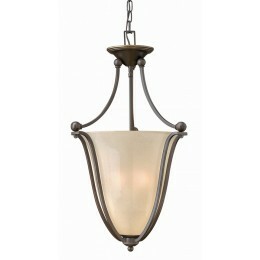 This item is 29"H x 16"W. The wattage is 180. 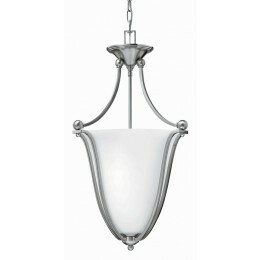 The Hinkley 4663OB-CL requires 3 bulbs (not included). Additional Information: Shade-Clear Seedy Glass.